Kate Gelinsky inspires her readers on the website that shares her name with fresh ideas that are more than just outfit suggestions. The young mother’s topics also include her lifestyle and, above all, one thing: joie de vivre. Her looks always appear authentic, relaxed and yet so very chic. Just like this great look, in which the statement leo coat is not the only highlight. 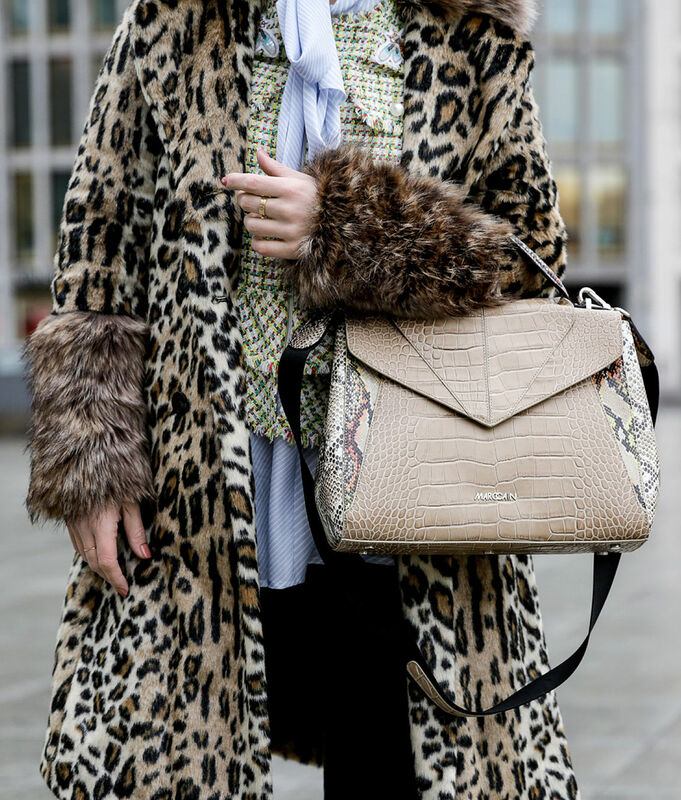 The printed Fun Fur, with offset long fur sleeves, is slightly tailored and forms an exciting contrast to the light blue cotton and silk tunic. Playful yet elegant, the summer tweed jacket emphasises the feminine side of Kate's look with short fringes and elegant flounces. Something that really always works: jeans. This makes the pattern and material mix suitable for everyday use - just like the narrow-cut boots. We love it!